Premiere: Elliphant - "Love Me Badder"
Here we are in 2015, and it sounds like Elliphant has her biggest hit yet. “Love Me Badder” still has all the elements of a good Elliphant song—the free-spirited vibe, hints of Jamaican flavor, and an enormous hook—but this is more polished and fuller than anything she’s ever released. 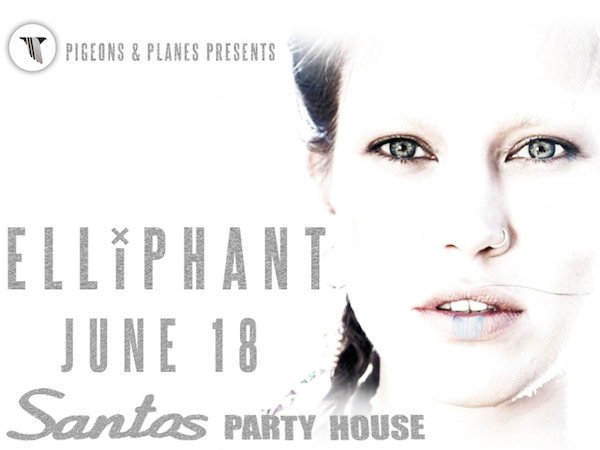 Get ready to see Elliphant’s name on the charts. “Love Me Badder” will officially be out tomorrow, May 12, via TEN/Kemosabe. Elliphant’s full-length will be out this fall. Catch her live in New York City on June 18.